Dyeing What Types of Dye Used in Textile Wet Processing? What is Dyeing in Textile Wet Processing Technology? Dyeing may be defined as that which chemically or physically changes a substrate so that the reflecting light appears colored. What is Dye in Wet Processing Technology? The substance which causes these changes of color to a substrate is termed as dye. 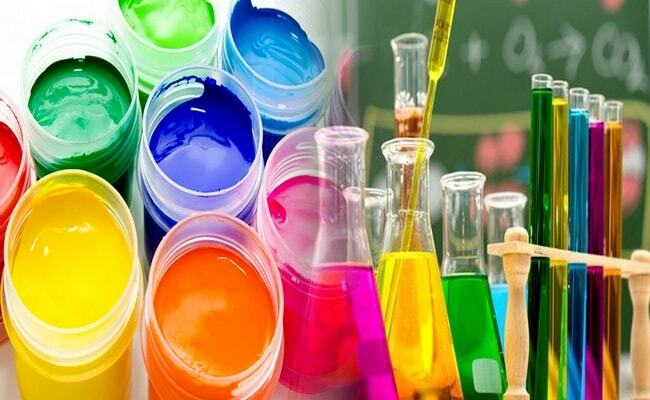 In textile industry, acid dyes belongs to different sub classes chemically such as monoazo, diazo, nitro, xanthane, azine, anthraquinone, quinolone etc. they are water soluble and have affinity to wool, nylon and silk fibers. They are applied to the fibers through neutral or acid dye bath. Basic dyes normally sulphonium or auxonium, ammonium salt, famous for bright shade, water soluble and application on cotton and other cellulosic fiber and leathers. These dye staffs are generally sodium salt of sulphonic acid. The have direct affinity to cellulosic fiber. They are water soluble and needs salt addition in the dye bath, should be applied at alkaline or neutral condition. It has poor fastness to wash but cheaper. They are the oldest natural dyes. Mordant dyes have no attraction to textiles but can be used to protein or cellulose fibers when they have been mordented previously with metallic salt. These dye staffs are capable of combining with metallic oxides to form insoluble color in the fiber. These are complex organic compounds containing sulfur. They are insoluble in water but soluble under reduced condition. They are usually applied at cotton for cheaper shades, have high wet fastness but poor light fastness. These are not readymade dyes. Fibers are firstly impregnated with a coupling component like beta-nepthol and then combined with a diazotized base to produce insoluble dye staffs into the fiber. Their main uses on cotton but also can are dyes silk and fur. They are very fast color on cotton and insoluble in water. They are reduced by strong reducing agent to produce leuco-vat and at this stage they are soluble in water. They are again oxidized to their main insoluble form after impregnation. These dye staffs directly combined with cellulose by chemical bonding i.e. covalent bonds are produced. They have excellent wash fastness. Mainly it is used on cotton, can also be applied on wool, silk and nylon. Dyeing is carried out into a neutral bath but fixation is carried out in an alkene bath. Disperse dye staffs are very suitable for synthetic fibers for example nylon, polyester, cellulose acetate, acrylic etc. higher temperature dyeing techniques are perfect for these types of dyes staffs but carrier dyeing methods or dyeing techniques can also be applied.